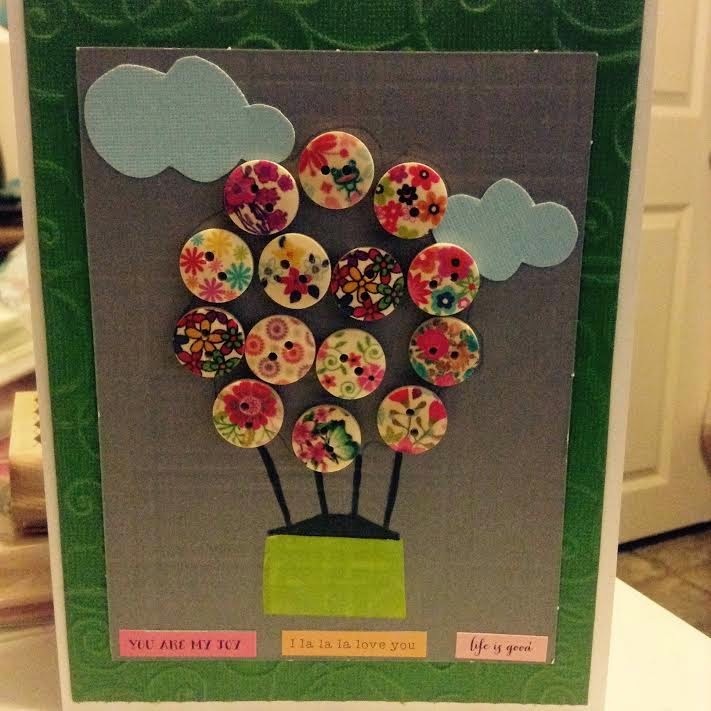 Nite Owl Creates: Card Making Fun! The other day my friend Aimee asked me if I wanted to come over and make cards with her. I dont make cards super often but I do enjoy it when I make the time to sit down and do it. Aimee is a pro (to me) at making cards and has a ton of stamps, ink and all that fun card making stuff! Here is the first card I made. The ink was bright green so I was a little disappointed it didnt show up on the card better. 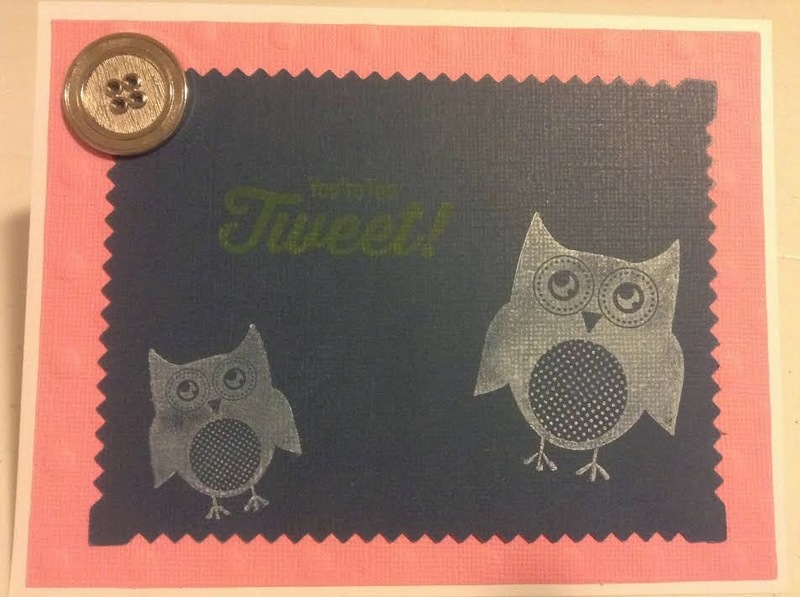 The owls (and the words) were clear stamps I found at JoAnns Craft store the other day. I think I liked the way this one turned out so much more. I got the buttons from Amazon awhile ago and used green washi-style tape for the basket. I think it turned out pretty cool looking. You can tell its a hot air balloon, right? Hehe. What fun crafts have you made lately? Link me in the comments!